Apple on Tuesday added 27 U.S. banks and credit unions to the Apple Pay roster, while simultaneously bringing the platform to more options in China, Italy, Ireland, and Russia. As is now standard, the latest U.S. additions are highly regional, such as Connecticut's UBI Federal Credit Union. Most nationwide U.S. banks were signed up by early 2015, just months after Apple Pay's Oct. 2014 debut. The international additions include AIB in Ireland, American Express in Italy, and bank Round, Beeline Card, Credit Union, Kykyryza, and Promsvyazbank in Russia. New Chinese entries include Guilin Bank, Hunan Rural Credit Cooperative, JinCheng Bank, Shanghai Rural Commercial Bank, Sichuan Rural Credit Union, SiChuan TianFu Bank, and Yibin City Commercial Bank. The lone U.K. addition is Starling Bank, which says it's the first in the country to enable in-app provisioning. American Bank & Trust Company N.A. 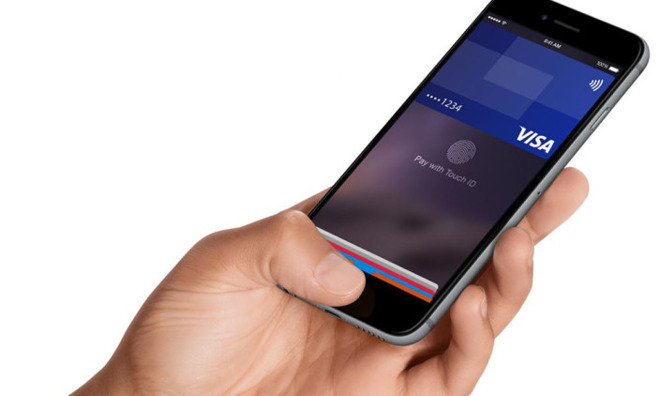 Apple Pay will be coming to more European issuers later this year. In France this includes Lydia, N26, Orange Bank, Banque BCP, and Arkea Banque Privee. Spanish shoppers will meanwhile have CaixaBank, imaginBank, and Visa.